Missouri Southern students will no longer be saddled with additional fees on top of their tuition, following action by the Board of Governors on Friday, Oct. 20. Under the Tuition Made Simple plan set to begin in Fall 2018, the required technology, activity, parking, records, health and recreation center fees will be included in the total tuition cost. Currently, those fees – amounting to $566 per year for full-time students taking 15 hours each semester – are assessed separately from tuition. The new, single rate will be $202.24 per credit hour – keeping Missouri Southern positioned as the most affordable university in the state of Missouri as well as the Four-State region. 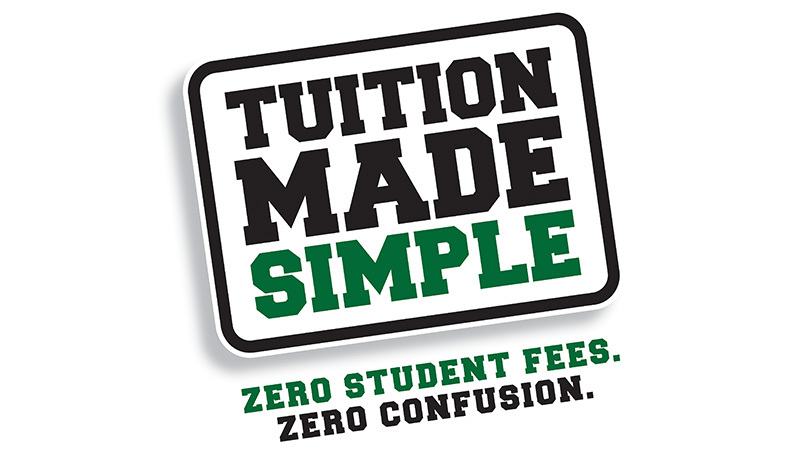 While students enrolling for the Spring 2018 semester will still see fees on their bill, the Tuition Made Simple plan will eliminate them beginning in the fall. While some specific courses will still have costs associated with supplies and special materials, students and their families will now be able to know exactly what their tuitions costs will be and plan accordingly, said Dr. Brad Hodson, MSSU’s executive vice president.